If you visit our functional medicine office in Tampa and we determine you might have a health issue related to exposure to mold, we believe a physical checkup of your residence and/or workplace is every bit as important as the medical checkup and treatment you sought through us in the first place. The World Health Organization (WHO) recently issued a report claiming 50 percent of all buildings in the United States are water damaged. And here in Tampa, we believe that percentage to be much higher. We also believe that finding a professional to conduct a home or office mold inspection should be taken as seriously as it was for you to discover that BioDesign Wellness Center had the expertise and track record to help you regain your health through the proper treatment of mold-related disorders. Unfortunately, we have seen too many patients ignore our advice about a home or workplace “mold checkup” and, as a result, their mold issue remains unresolved. By taking such inspections as seriously as you would your treatment, you will go a long way toward securing the clinical results you desire. A quarter of the population possesses genetics that don’t allow their bodies to fight certain mold toxins and other biotoxins that are often present in a water-damaged home or office. For these patients, making certain that the environments they live and work in are safe is an absolute priority. So, while 75 percent of the population can safely and comfortably live in a house with mold and suffer little or no symptoms, the remaining 25 percent struggle to rid the body of mold toxin and often remain chronically inflamed and sick. Of course, with long enough exposure — especially of the more severe type — anyone can become ill. In medical terms, this is referred to as CIRS-WDB (Chronic Inflammatory Response Syndrome – Water Damaged Building), and it’s a multisystem and multi-symptom condition that doesn’t go away without treatment — even if you or a loved one were to pack up and leave your toxic environment. So, it goes without saying that the prognosis is even worse when the sufferer does nothing to correct the living or working environment in which they exist. Do check licensing: Do make sure the mold assessor or remediator is licensed in the State of Florida. Florida’s Department of Business and Professional Regulation (DBPR) is responsible for licensing and regulating mold assessors and mold remediators. For more details, visit the Florida DBPR website for the mold-related services licensing program. Don’t support double dipping: Don’t hire a mold assessor who performs inspections andremediation at the same location. In Florida, it’s illegal to perform both functions at the same location. The state deems this is a conflict of interest, and we wholeheartedly agree. Do include HVAC: Do conduct an inspection of the HVAC system in your home or office. The air system is the lungs of the spaces you occupy, and the ventilation system can be a major source of an indoor air quality-related problems. Further, the HVAC system is often cross contaminated by mold spores present inside the building envelope, capable of dispersing toxins throughout each space it’s meant to support. Don’t forget to sample: Don’t hire a company that limits its inspection to just air and surface sampling. Air samples alone will not be adequate in identifying mold or other toxic debris from bacteria or the “soup” of toxins in a water damaged environment that are causing health issues, Additional sampling methodologies conducted during the investigation provides more data — information necessary to contribute to a more efficient understanding of what is present inside the affected environment. Note: Multiple data points are required to understand the entire scope of work necessary for proper remediation. This information is also helpful for medical professionals like those of us at BioDesign to properly diagnose our patients. Do look for a medically informed vendor: Do hire a mold assessor who understands the potential health risks that a sick home presents, because doing so means you’re much more likely to obtain a comprehensive assessment and sampling plan. Sampling is most important, because it validates the information gained during the assessment. Don’t be shy: Don’t be shy about asking questions before and after selecting companies for mold inspections and remediations. Similarly, the inspectors and remediators should be asking you fact-finding questions to better understand how they will approach their assessment and remediation. 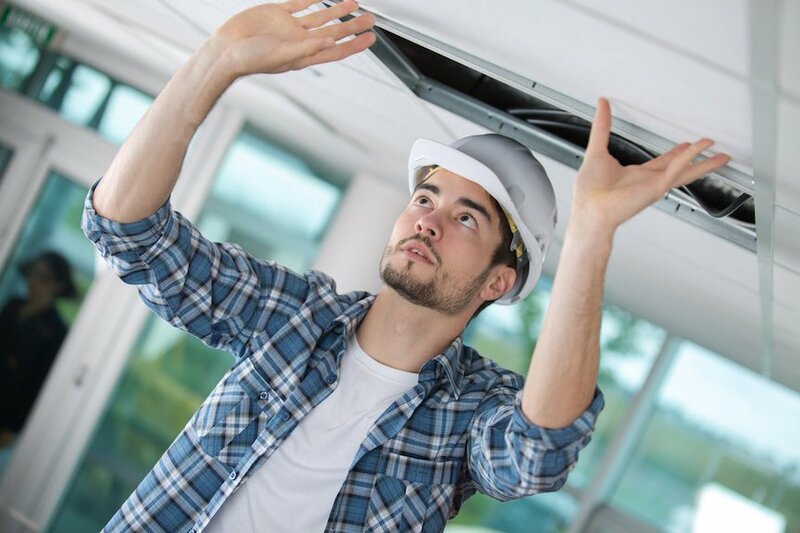 Do inspect high and low: Do hire an inspector who will inspect the entire house or office — including crawl spaces, basements and attics. Like the human body, a building envelope acts as one system. And contaminants in these areas often affect the occupied space. Don’t listen to naysayers: Once you’ve selected a mold inspection company, don’t let outside influences interfere with impending inspections. Some people downplay the impact mold might have on your health, and that’s because they don’t understand the mechanics of how it makes you sick. The easiest way to derail your success in remediation and feeling well is to take advice from others who are not fully invested in getting you healthy or lack important information about the hazards of mold toxins. The fact that they downplay the problem usually isn’t out of malice or ill will. Unfortunately, it’s usually due to ignorance of the subject. Here’s an example from our own experience: A while back, our BioDesign medical team confirmed a patient and her children were ill as a result of mold toxins in their home. However, the husband said he was a builder and as a result, was skeptical of the inspector’s finding of a mold problem in his home. His standards were quite different from those expressed by medical professionals who are fully educated on the health consequences of mold for those who are susceptible to a chronic response. This requires a different “standard” that went beyond his understanding at that time. Thankfully, with the right testing both clinically and of the house, we were able to make the case clear to the husband and he changed his mind. Do seek referrals: Do ask family, friends, and other reputable sources for referrals of mold assessors and remediators. Don’t participate in kickbacks: Don’t hire a mold assessor or remediation company that provides any other business with compensation or any other form a reward for making a referral. That’s against the law here in Florida! No matter the scenario, if someone in your home or office is sick with a mold-related illness or syndrome, testing of the space for mold toxin and mold species remains a critical step in making sure the environment is safe and will allow for healing as treatment begins clinically.